Groups are likely the most important and key part of using Ecanvasser successfully. 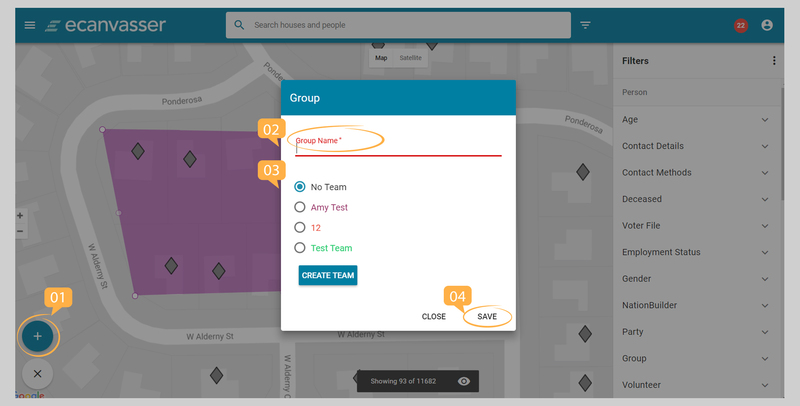 A Group reflects an exact segment of our database, when creating a Group from the Map tab, this segment will be based upon geography, as well as the filters applied. Click a second time, in an appropriate location, and not only will a second plot appear, but a third plot will appear between the initial two (this will occur for every plot between now and the final one); while as you move your mouse away, you can see that you can continue to plot, as before. 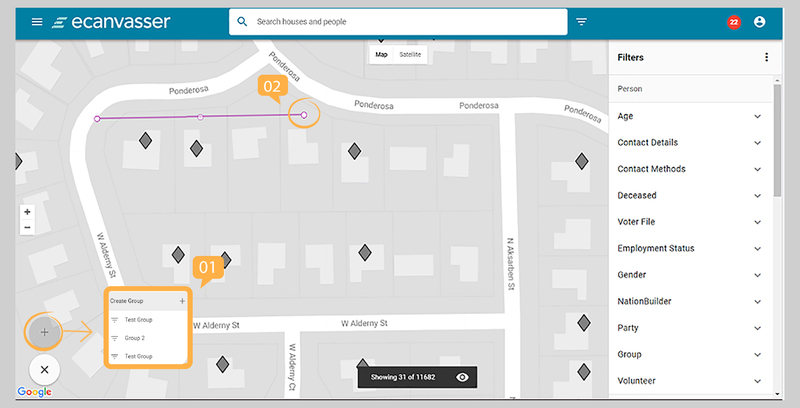 Should we wish to modify the Group at this time, we can do so by selecting any of the existing plot points, and dragging them in, or outwards, as we have done below to draw some nearby houses into the Group. 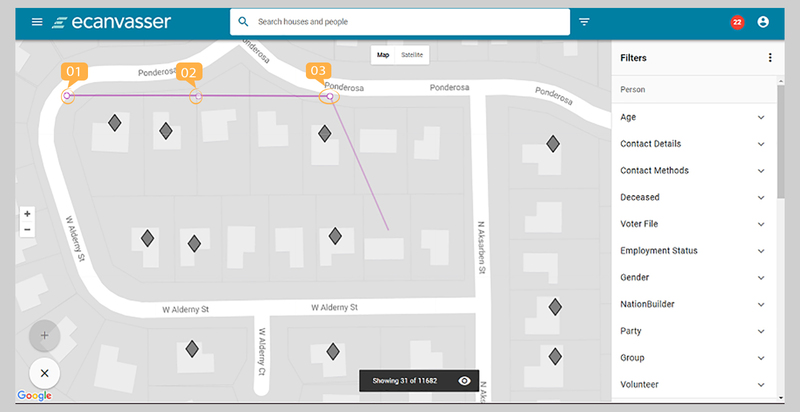 Note: When you create a Group from the Map page, only Houses that are currently visible on the Map will be added to the Canvass. 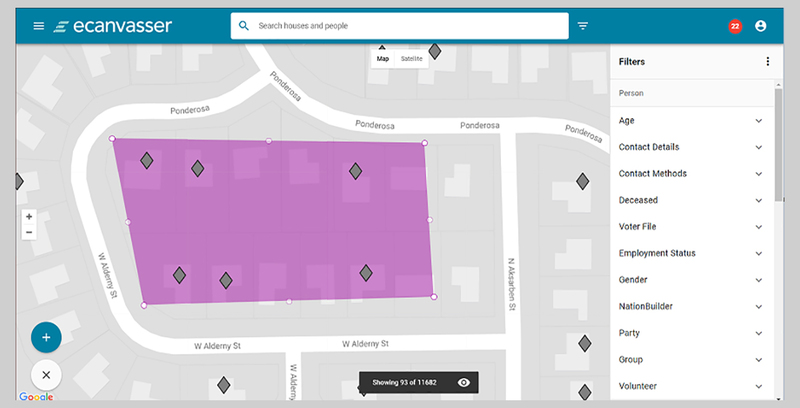 That is, if you have added a Filter, these houses will not be added to the Canvass list. 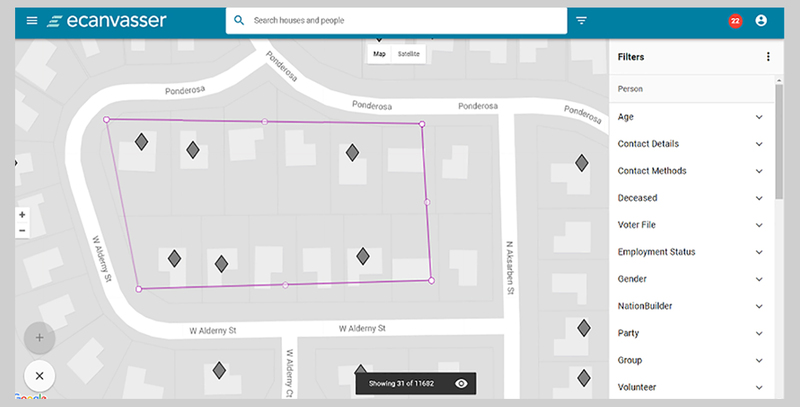 If you are performing a general Canvass of an area, this will not create an issue, as your Canvassers will be creating entries for all the houses they come across not yet in your Voter Database. However, this function is incredibly powerful for when you wish to create a targeted Canvass of an area based upon any information you have in your Voter Database.